For the 9th summer in a row, the IPED commons had witnessed a cacophony of activity that directly corresponded with the arrival of 22 African students to our picturesque Rose Hill campus. The students above, have been selected to attend IPED’s flagship advanced certificate in Emerging Markets and Country Risk Analysis program. This year’s cohort consisted of twenty South African students that included eight top-performing economics students from the University of Pretoria as well as twelve middle management employees from the National Treasury, The South African Reserve Bank, Public Investment Corporation (PIC) and Industrial Development Corporation (IDC), amongst others. What separates this years program, however, is that it has been extended to include two students who are Economics and Finance lecturers at the Catholic University of Ghana in West Africa. 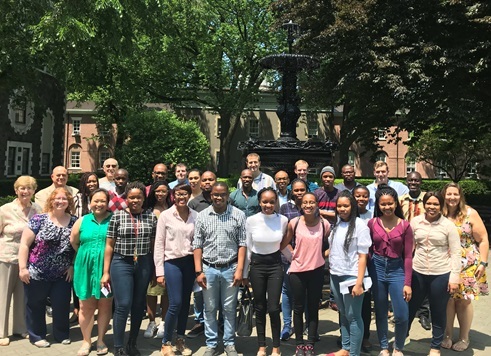 Throughout their six weeks in New York, the 22 students took two rigorous courses in Strategic Financial Management and Political Risk Analysis. These courses were completed alongside local IPED and Economics graduate students and taught by Professor Rengifo and Entelis respectively. 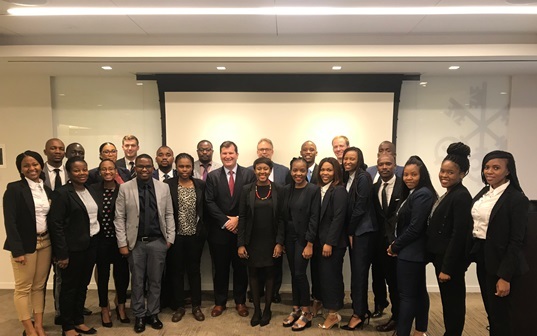 Beyond interacting with Fordham faculty members, the students had the opportunity to engage and network with real business leaders and policymakers through several organized site visits in New York and Washington D.C respectively. These included meetings with large international institutions at the World Bank, the Council on Foreign Relations and at multinational corporations such as IBM, Bank of America, Merill Lynch and Credit Suisse. 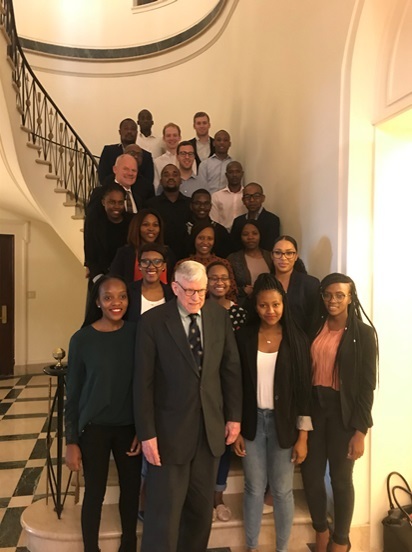 After returning to South Africa, the students will by joined by Fordham IPED and Economics graduate students at the beginning of August to complete the third and final Emerging Markets course at the University of Pretoria in South Africa’s capital city. 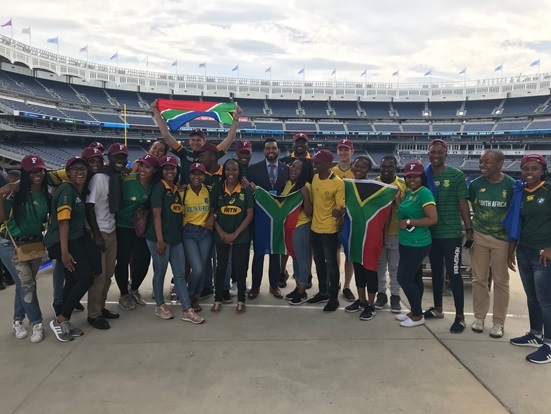 2018 represents the 9th year in which students from South Africa participated in this dynamic academic and cultural exchange program. The impact of the program is seen from the successes of its alumni. Many have gone on to represent leadership positions in both the public and private sector across Africa and the world soon after receiving their qualification from IPED. They continue to reference their experience in New York as an important experience in their career development and education. Carlos Baeta was among the participants of the Emerging Markets South African Exchange Program in 2015. He later returned to Fordham to complete the MA IPED (2017) and MA Economics (2018) programs.